A security guard is a person employed by a public or private party to protect the employing party’s assets from a variety of hazards by enforcing preventative measures. Security guards do this by maintaining a high-visibility presence to deter illegal and inappropriate actions, looking for signs of crime or other hazards, taking action to minimize damage, and reporting any incidents to their clients and emergency services, as appropriate. Special police usually describes a police force or unit within a police force whose duties and responsibilities are significantly different from other forces in the same country or from other police in the same force, although there is no consistent international definition. A special constable, in most cases, is not a member of a special police force (SPF); in countries in the Commonwealth of Nations and often elsewhere, a special constable is a voluntary or part-time member of a national or local police force or a person involved in law enforcement who is not a police officer but has some of the powers of a police officer. The Comptroller General of the United States is the director of the Government Accountability Office, a legislative branch agency established by Congress in 1921 to ensure the fiscal and managerial accountability of the federal government. The Budget and Accounting Act of 1921 "created an establishment of the Government to be known as the General Accounting Office, which shall be independent of the executive departments and under the control and direction of the Comptroller General of the United States". The act also provided that the "Comptroller General shall investigate, at the seat of government or elsewhere, all matters relating to the receipt, disbursement, and application of public funds, and shall make to the President when requested by him, and to Congress... recommendations looking to greater economy or efficiency in public expenditures." 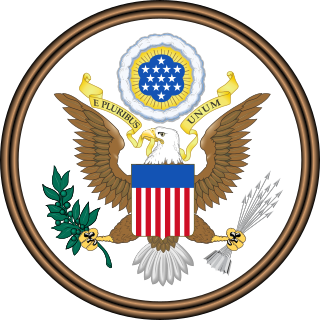 The Comptroller General is appointed for fifteen years by the President of the United States with the advice and consent of the Senate per 31 U.S.C. § 703. Also per 31 U.S.C. § 703 when the office of Comptroller General is to become vacant the current Comptroller General must appoint an executive or employee of the GAO to serve as the Acting Comptroller General until such time as a new Comptroller General is appointed by the President and confirmed by the Senate. 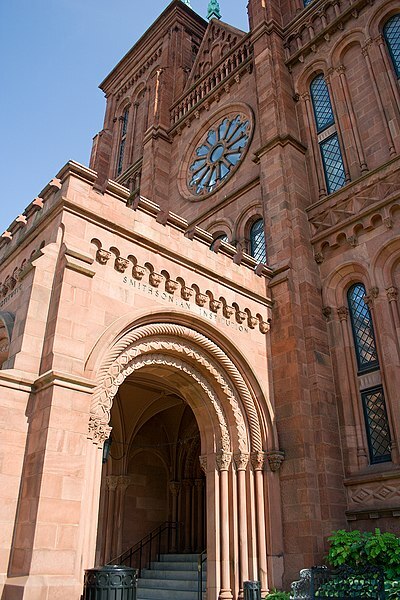 Title 40 of the United States Code outlines the role of Public Buildings, Properties, and Public Works in the United States Code. The United States Park Police (USPP) is one of the oldest uniformed federal law enforcement agencies in the United States. It functions as a full-service law enforcement agency with responsibilities and jurisdiction in those National Park Service areas primarily located in the Washington, D.C., San Francisco, and New York City areas and certain other government lands. The United States Park Police is one of the few full-service police departments in the federal government that possess both state and federal authority. In addition to performing the normal crime prevention, investigation, and apprehension functions of an urban police force, the Park Police are responsible for policing many of the famous monuments in the United States. 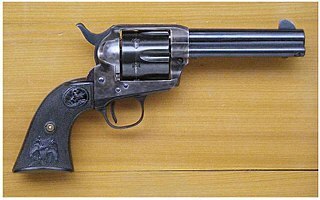 A revolver is a repeating handgun that has a revolving cylinder containing multiple chambers and at least one barrel for firing. Revolvers are a subset of handguns, distinct from pistols, which are defined as handguns with an integral chamber-barrel assembly. The revolver allows the user to fire multiple rounds without reloading after every shot, unlike older single shot firearms. After a round is fired the hammer is cocked and the next chamber in the cylinder is aligned with the barrel by the shooter either manually pulling the hammer back or by rearward movement of the trigger. 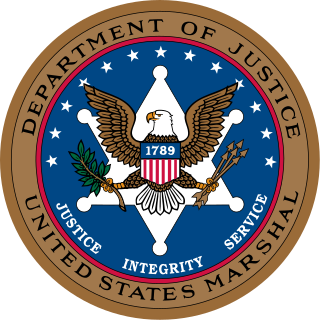 The United States Marshals Service (USMS) is a federal law enforcement agency within the U.S. Department of Justice. It is the oldest American federal law enforcement agency and was created by the Judiciary Act of 1789 during the presidency of George Washington as the Office of the United States Marshal. The USMS as it stands today was established in 1969 to provide guidance and assistance to Marshals throughout the federal judicial districts. USMS is an agency of the United States executive branch reporting to the United States Attorney General, but serves as the enforcement arm of the United States federal courts to ensure the effective operation of the judiciary and integrity of the Constitution. The American Federation of Government Employees (AFGE) is an American labor union representing over 670,000 employees of the federal government, about 5,000 employees of the District of Columbia, and a few hundred private sector employees, mostly in and around federal facilities. AFGE is the largest union for civilian, non-postal federal employees and the largest union for District of Columbia employees who report directly to the mayor. It is affiliated with the AFL-CIO. The Fraternal Order of Police (FOP) is a fraternal organization consisting of sworn law enforcement officers in the United States. It reports a membership of over 325,000 members organized in 2,100 local chapters (lodges), state lodges, and the national Grand Lodge. The organization attempts to improve the working conditions of law enforcement officers and the safety of those they serve through education, legislation, information, community involvement, and employee representation. 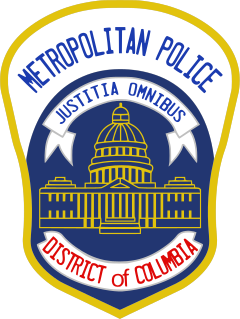 The Metropolitan Police Department (MPD), officially the Metropolitan Police Department of the District of Columbia (MPDC), is the law enforcement agency for the District of Columbia, in the United States. With approximately 3,900 officers and 400 civilian staff, it is the sixth-largest municipal police department in the United States. The department serves an area of 68 square miles (180 km2) and a population of 672,228 people. The Supreme Court of the United States Police is a small U.S. federal law enforcement agency headquartered in the District of Columbia, whose mission is to ensure the integrity of the constitutional mission of the U.S. Supreme Court by protecting the Supreme Court building, the Justices, employees, guests, and visitors. In accordance with 28 U.S.C. § 672, the Supreme Court Police falls under the jurisdiction of the Marshal of the United States Supreme Court who is appointed by the Supreme Court. The Marshal and the Supreme Court Police are authorized by 40 U.S.C. § 6121 to police the Supreme Court Building and protect the Justices, employees of the Court, and visitors to the Court. 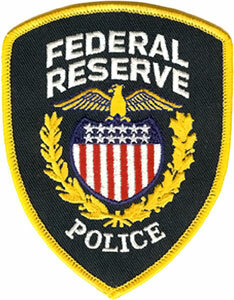 The U.S. Federal Reserve Police is the law enforcement unit of the Federal Reserve System, the central banking system of the United States. Company police, also called private police, are privately paid law enforcement officers who work for a private company rather than a municipal, county, state, or national agency. The District of Columbia Protective Services Division is a division of the Department of General Services of the District of Columbia Government, responsible for maintaining order and providing police and security services at and around "all properties owned, leased or otherwise under the control of the Government of the District of Columbia."